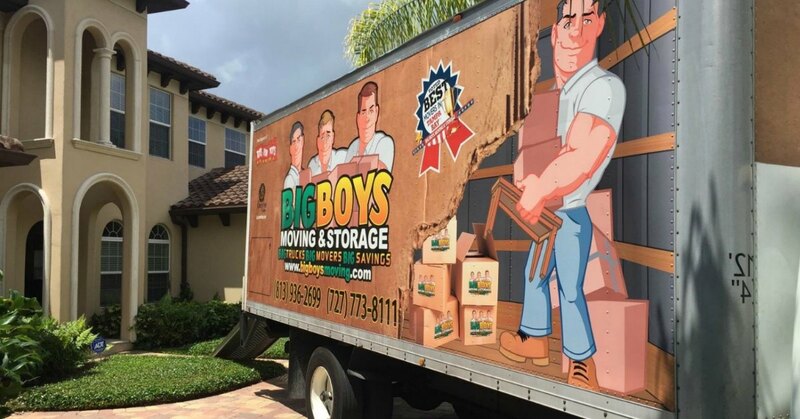 As the top Clearwater movers in the area, Big Boys Moving and Storage have plenty of experience in helping Floridians make their move from one home to another. This experience has given us a great insight into the “perfect move” and today we want to share a few things that we think you should know about moving and moving day in particular. 1. You Really Need to Be Ready to Go When Your Movers Show Up! We mean REALLY ready to go! 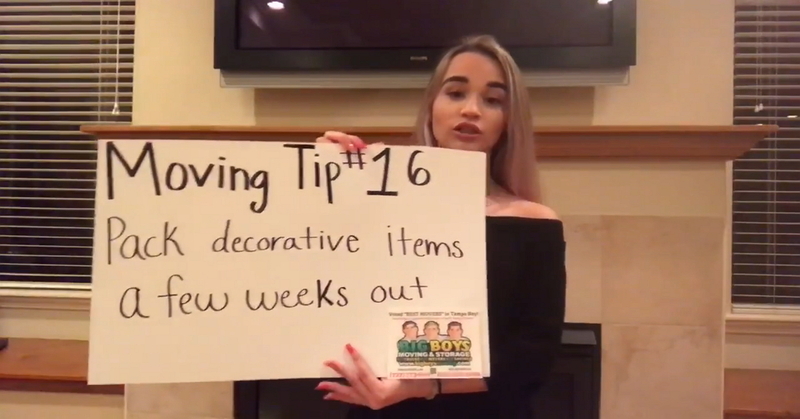 Have everything already packed, have kids and pets out of the way, and have everything ready for the movers so that they can come in, pack the truck, and get your move done! Not being ready means leaving your movers waiting and that wastes their time and costs you more money! 2. Did We Mention Pets and Kids? We love pets and kids and have a few of them ourselves, but moving day is no day for them to be running around. Having children and pets running around while your movers are trying to pack up your boxes doesn’t just make it harder for your Clearwater movers to do their job, but it also makes things much more dangerous! Kids can get underfoot, pets can trip movers down the stairs, etc. It’s just better for everyone to hire a sitter, leave everyone with family, or make use of daycare! Simply telling us that you live in apartment 201 doesn’t always mean that your apartment is on the second story of the building, so it’s always best to reiterate to your movers that your home is located on a floor other than the ground floor. When people hire us as their Clearwater movers it can be very difficult to ask people not to get under our feet. If we have to ask you this in person on the day of your move, please don’t take it personally, it’s about safety for us and for you and your family! We know that often times you are only trying to help us to move things along, but it’s actually much faster and much safer when you let us do your move for you! We know, we sound very demanding, but when you disappear on your moving day and we are left to take care of your move without you present, things can get a bit complicated. We always have questions about moving and storing your belongings and if we can’t find you, this makes the moving process longer. If you do have to run an errand or do something that means leaving us alone with your move, please let us know that you have left and give us a contact number where we can reach you while you’re gone. We have always been exceptionally lucky with the amazing clients that we help to move, but just as a reminder to the very few customers out there who don’t recognize the importance of kindness, kindness goes a LONG way! Our job, like yours, is hard. We are at your home to carry out that hard job while being courteous to you and treating your home and belongings with respect, please don’t forget that when you feel like snapping over a short delay in your move. Your Clearwater movers will almost always provide you with an inventory of items that they are carrying on their truck, but we always recommend that you keep an inventory of your own as well. This will prevent any problems from arising where one person swears that something was packed and loaded into the truck when it wasn’t! 8. Please Communicate with Us! We are movers, not mind readers. If you want something done or if something is being done the wrong way by your movers, please speak up and let us know! Kindly tell us what we are doing isn’t correct, that you wanted something moved into another room, that you need help with something, etc. We can’t read your mind to tell what it is you need, so please don’t stay silent because you’re afraid of upsetting us! Let us know what it is you need and we’ll get right to work on helping you with that. Many homeowners call in for a pizza delivery or have other delicious snacks and food waiting for us when we show up to help with their move. We never expect to be fed by our clients and while cold drinks are always appreciated, please don’t be upset if we don’t indulge in pizza…you never know how many pizzas we have already eaten that day! 10. If You Live in an Apartment Building Reserve the Elevator If Possible! Many apartment complexes allow new residents to reserve the building elevator to help to make their move go much easier. If you will be moving out of or into one of these types of apartments, please make sure to reserve the elevator so that we can quickly get your stuff moved into your new place. The faster we can get the job done, the lower your hourly rate charge will be and the less stress it places on the backs of your movers since they’re not having to carry things up and down those stairs! Ready to Hire Clearwater Movers That You Can Trust? If you’re ready to hire Clearwater movers that you can trust with your move and your most valuable possessions, Big Boys Moving and Storage can help! Just pick up the phone and give us a call at 813-936-2699 or send us a message via our website for a free quote.